What a chicken can teach you about art. Today I found a chicken in the men’s room at school. Wish I could say this was the worst thing I have found in a men’s room, but nevertheless there it was feathers and all. What do you do when you find a chicken in a bathroom? Never asked yourself that before? Well, you have to chase it out. The way our bathroom is set up, the window is opposite the door. The window is screened and chickens can’t fly through screens. You think this would be obvious, but not to a chicken, nope, not at all. When I entered the room the chicken attempted to escape through the window, flapping its wings like crazy. It then cowered on the edge of the window and stared at me with one eye. I moved out of the way of the door to allow it to leave and when that didn’t work I chased it around the room for a while. But wow, that chicken would not make any other attempt to escape than to fly out that screened window. Chickens make stupid decisions like getting stuck on one idea. Don’t make stupid chicken decisions about making art. Flexibility in art making is key to long-term success. Too often we find one technique or series of steps that works for us, and if any step is off or an unforeseen variation arises all hell breaks loose. We need to be flexible, malleable, and adapt the way the Marines do when attempting a beach landing. 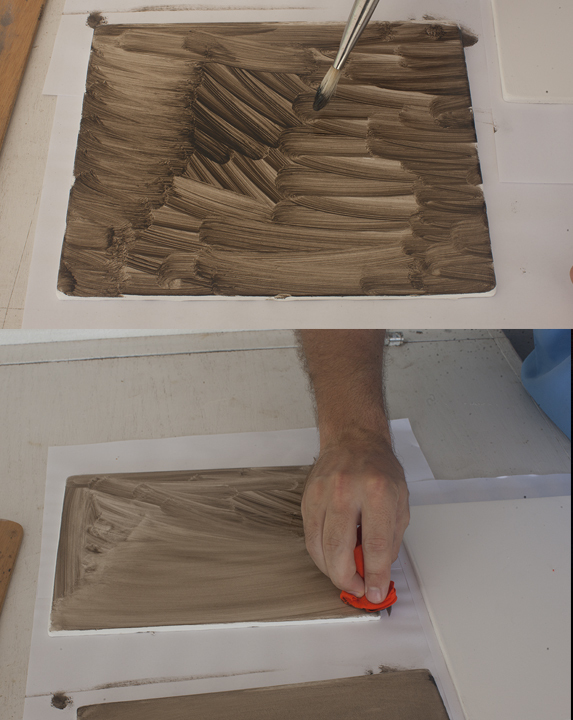 In this step-by-step I would like to show you one way to start a painting. There are many different ways to begin an oil painting and each person needs to find the right blend of procedure and product. The procedure being the steps we enjoy to create the picture and the product being the final picture we are trying to achieve. 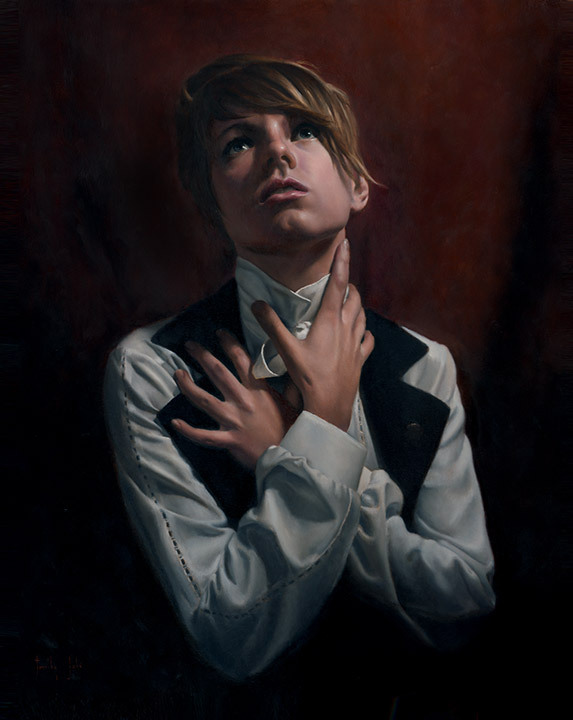 In my toolbox I have a few ways to start a picture, which allows for adaptability to the subjects I am working on. Throughout this year as I work through these blog posts I will explore other usable techniques on starting and developing your work. For today let’s talk about starting on a toned board. 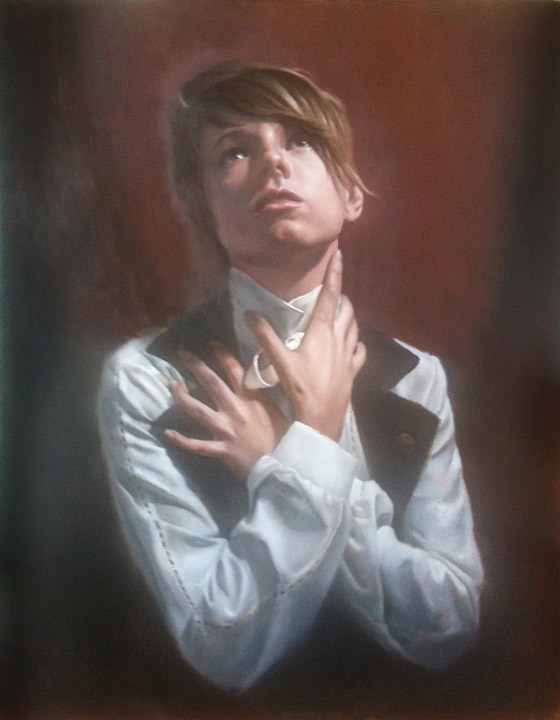 For this painting I toned my gesso board with Raw Umber and Ivory Black. While I don’t always tone my board I planned on using a partial underpainting and I wanted to get rid of the white of the gesso. I wanted to use the underpainting to unify my shadows as well as allow me to more rapidly gain full value range in my shadows. There are other ways to get your shadow value close to final resolution from the start, but for the time frame I needed to complete this piece this seemed the best solution. I mixed a large pile of the pigment and applied it with a large brush with a little turpentine. After the entire board was covered I wiped the remainder off with a rag. This was allowed to dry for two days. 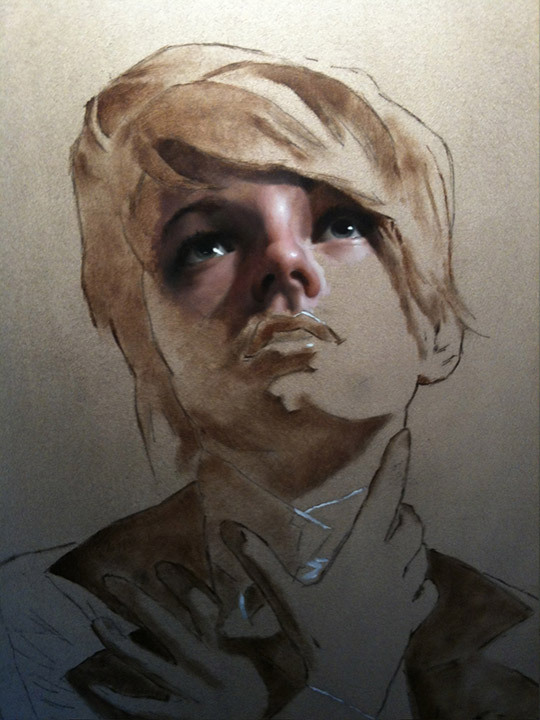 After it fully dried, the drawing was laid in in Raw Umber. 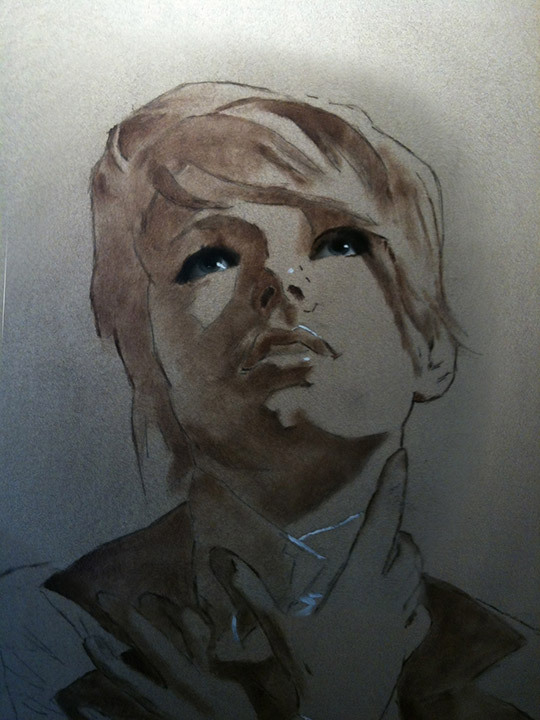 While the drawing was still wet I massed in the predominate shadows with Raw Umber. 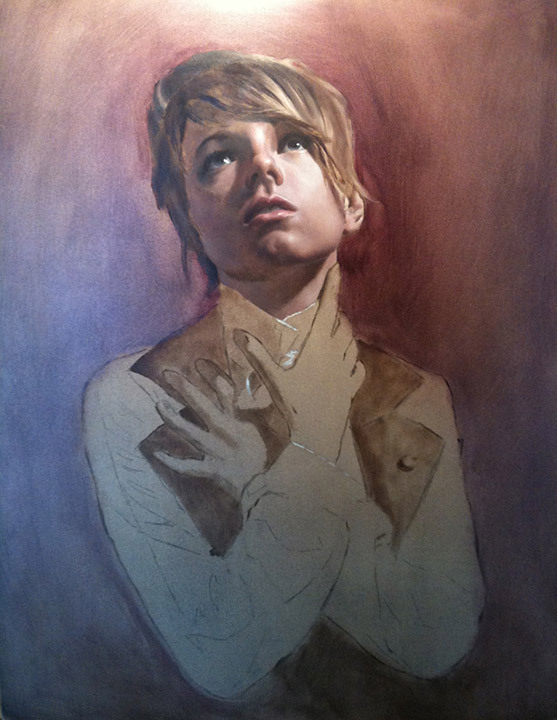 At this stage I indicated the highlights with Pure White. You can use the color of the light at this stage if you are working in an extreme lighting situation, like a Phthalo Blue mood. For my purpose here, the Pure White makes it much easier to obtain my highlights to a full value range during the block in. 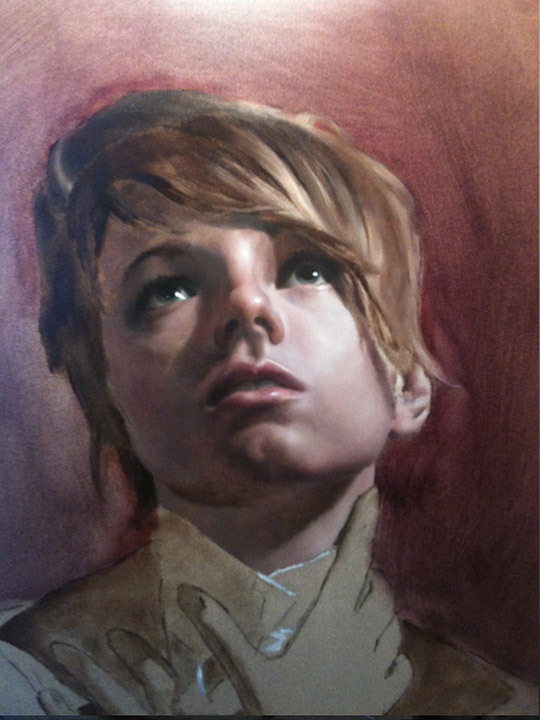 The reason I called it a partial underpainting is that I am not fully developing my values. Many people use an underpainting that brings a single color all the way up the value range to white. In this case, you can model all of the value transition on the form and create a very clear road map for where the color will be placed. You can get very beautiful results from this, but it can be time consuming. 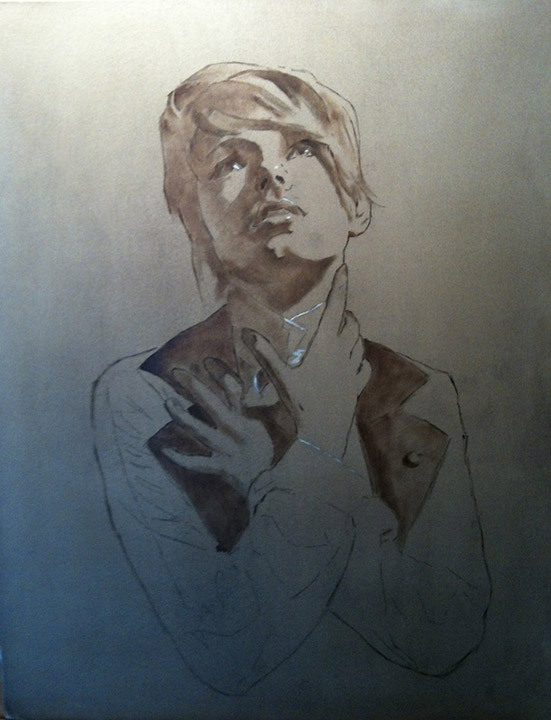 Keep in mind there was no white added to the Raw Umber in the underpainting. All I am attempting to do is set the values for my shadows quickly. 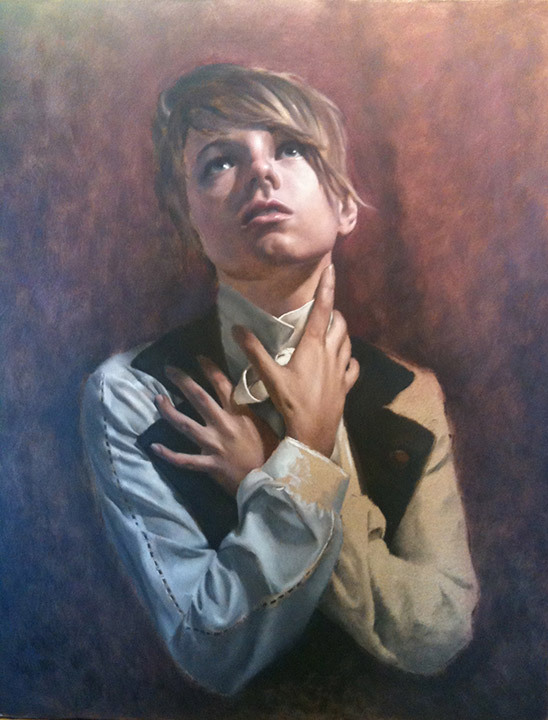 After completing the partial underpainting I began to block in the focal point of the painting. 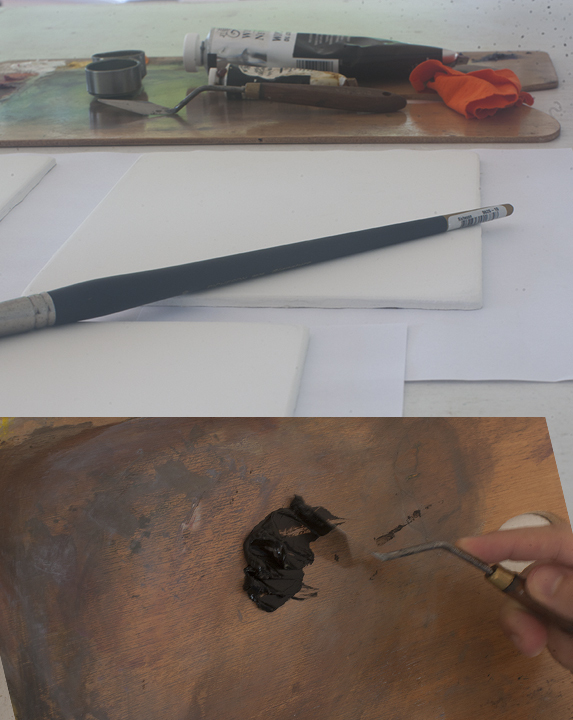 Note: If you don’t give the Raw Umber some time to dry it will lift off. I happen to live in a very warm climate so it’s usually very workable after a few hours, but a full day of drying may be better depending on your climate. 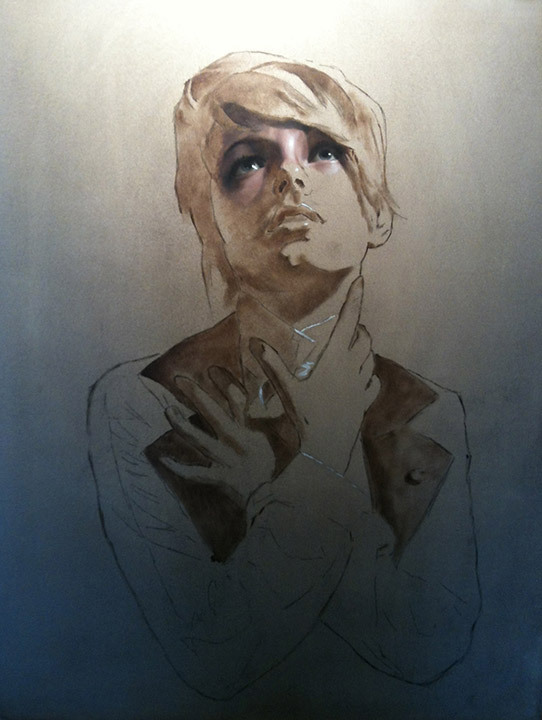 If you want something warmer you can also use Burnt Umber, which sets up faster; however, it’s not my first choice as when subsequent layers of paint sit on top of it the oils get sucked out faster than any other color I have worked with. But this is personal choice and experimentation on your part will allow you to make an informed decision. With all of the prep work complete it’s time to start painting with full color. 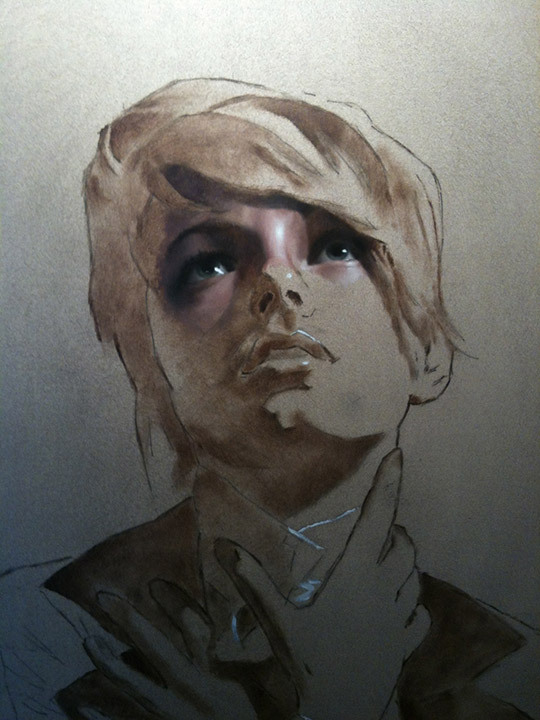 Just like any other drawing or painting, I find it helpful to develop the focal points of the painting early on. As this is a portrait the eyes will go into high focus, so I attack them first. Many people want to avoid the “hard” parts, but you will find if you handle the areas you want to avoid from the start your work will progress more rapidly. As each stage of the painting progresses all of the information is based on the eyes, then the head as a whole adding in each feature. As I progress through the forms I consider what my primary focal point is and how the section I am working on fits into the picture. Everything becomes relative as the picture progresses. You can ask yourself some questions that may help push your work further: How hard should the edges of your object be in relation to your focal point? How far is this object from the primary light source? How strong should the chroma of the colors you’re working with be in relation to the picture? I hope you found this helpful and a bit entertaining. If you are interested in keeping up with these blogs please sign up for my newsletter and I will inform you when the next one is posted. Happy painting and don’t be a chicken.